Just some wants for my main collections! Also I would like if you included shipping too if you happen to have any of these items for sale. This auction ends on MY 21sr BIRTHDAY!!! :D May 2nd at 18:04 PDT (6:04 PDT or 9:04 EST or 1:04 UTC) This means all bids past 12:59 UTC will NOT count! Alright please don't hate me for my claims :C but I'm claiming Slaking, Wilmer, Swalot, Treecko, Armaldo, and Minun kids for $12 willing to go higher. Hey guys! I'm back with my first sales post of the year! 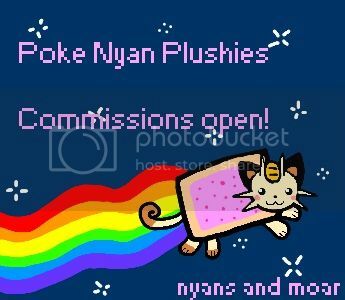 Items include Lucario, Team Rocket and Weavile zukans, a Lapras swing charm, a DP Pre-Order figure for auction, as well as Valentine's Day Pikachu pins, dot sprite badges, MPC/I <3 Pikachu plush, pan stickers, and miscellaneous kids and figures starring characters like Aerodactyl, Eeveelututions, Gyarados, Articuno and Cubone. Auctions end Saturday 5 May, 8PM EST. My shipping days will be the week after the auction, keep that in mind! EDIT: Will be out, back with your quotes by night time! Hiya everyone! 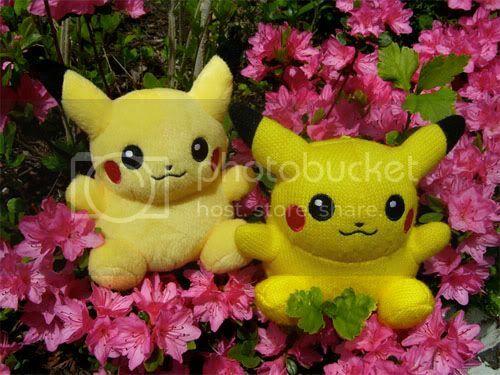 For a super belated Earth day, and arrival of my 96 and 97th pokedolls, I figured that this special collection update should be nature themed! pardon my FREAKING out but i did NOT expect pics of these today! 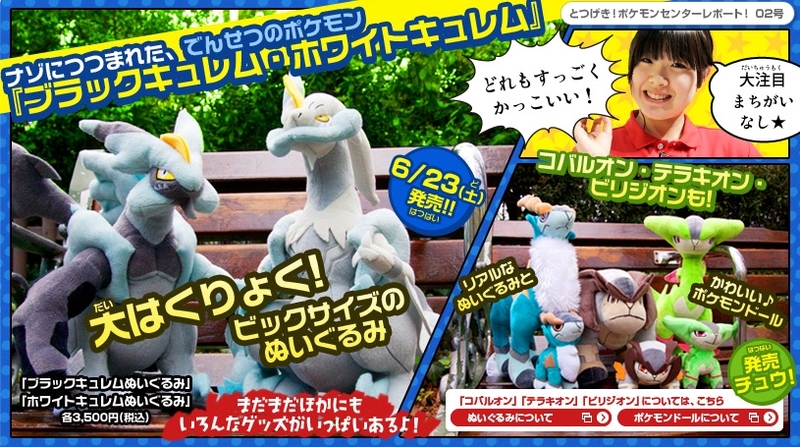 pokemon center plushies of black and white kyurem, due to come out 6/23, BW2 release day of course!!!!!! blackchan is so gorgeous, they did him such justice, and WHY CAN'T THEY PUT THEM OUT A BIT SOONER?? good gosh pokemon center why do you torment us this way?? PS: fan of the muskedeer dolls coming out tomorrow? SPECIAL BONUS IMAGE! PPS: check out this amazing artwork...some of your guys favourites are on it! New stuff at the Pokemon Center!!!! Hey guys i found these awsome stuff on the Pokemon center website there is much more on there if anyone would be willing to pick any of these up i would be so greatful! 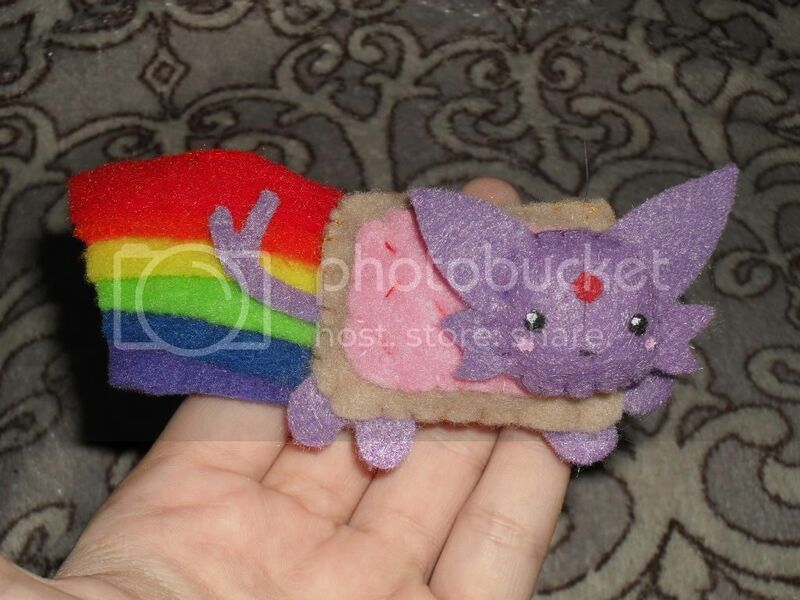 Awesome Finds and Fixing Plushie Question? I know most of you are probably sick of all the sales post on here lately (I know I am a bit XD), but hey we all need money to buy things on here right? So yea, here is another one to add on. I Ship From NJ, U.S.; Gladly will send everywhere! But I will not responsible for lost of items/damaged items. I keep all receipts from the post office to show I sent out, anything other than that is out of my hands (Sorry!). Please feel free to send me a Private Message or message on AIM (S/N can be found in my profile) with any questions, concerns, or comments if you do not want them public. Shipping starts at $2.50 for within the US, and $3.00 for international and up depending on the amount of items (An FYI for International people, I am doing mostly guessing, since I don't have a scale to properly weight anything, so I may charge a little extra, but of course you will be reimbursed for any extra I may charge). And ANY Tirtouga + Carracosta merch/items (wants list coming soon)! Also just gathering some interest, would anyone be interested in a Blastoise Line Zukan? Sort of undecided if I want to sell my second set or not. It's in good condition, no base. Just want to see if I do decide to sell it, I want to see if I should do it auction style (if multiple people are interested) or just a single firm price. And I should be getting some New Dark Explorer Cards next week and a lot of popular Pokemon in that set so keep an eye out for that if cards are your thing. That's it for now folks! Thanks for viewing/buying/whatever! Assorted tomy figures. 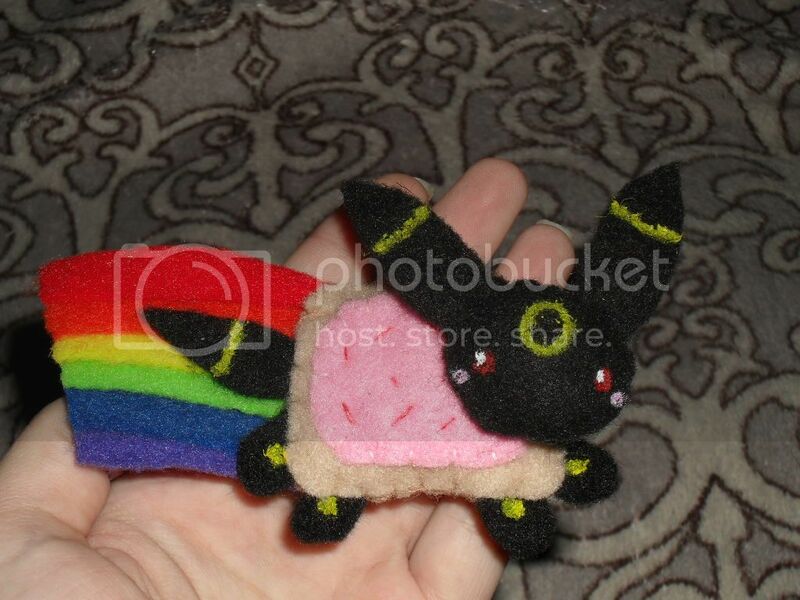 Flareon MAY be bootleg...I dunno. Snorlax has been cleaned since this pic. Toes are scuffed. Can be easily fixed! Also, calling khite4!! I have been trying to get in touch with you. We had a communication error! Look what my boyfriend got me for my birthday XD He totally copied Pantherotter hehe. I loves it! Heya everyone. Just wanted to give a heads up my auctions are ending SUNDAY so please be sure to give them a peek! I have incredibly rare items up for grabs, as I am selling off most of my collections. I'm also offering payment plans on some items~! r/s/e 3 GA participants! The package has arrived (a bit ago) and your Zukans are ready to be shipped out. Note that I paid payment 2 myself to save everyone pp fees, so everyone will be paying about $3.55 in addition to shipping costs. Also, guess who arrived today! 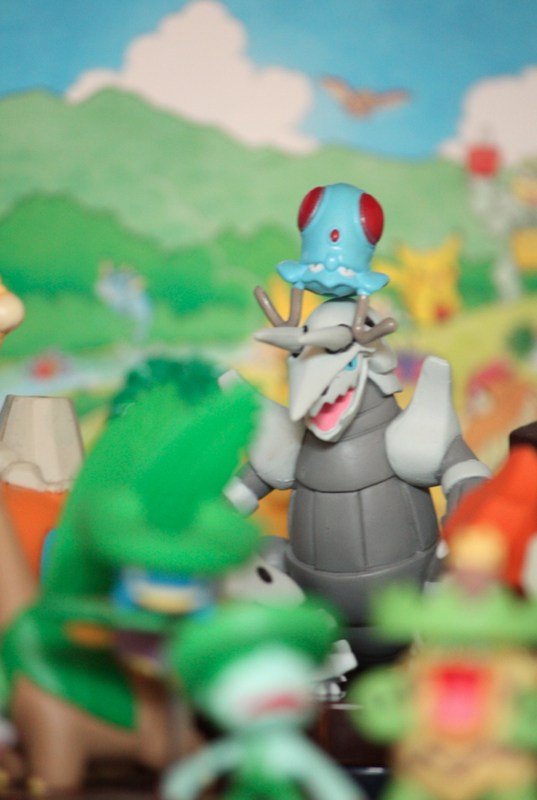 The Mountain Diorama zukan from Pokepalace! I was wondering if anyone had the Jirachi Zukan piece to go with it? 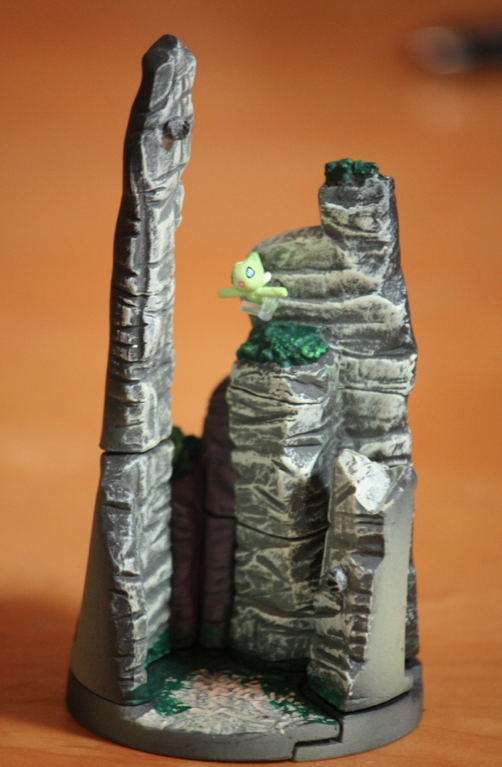 I would love to purchase it, with or without the peg, or the whole diorama if you have it. 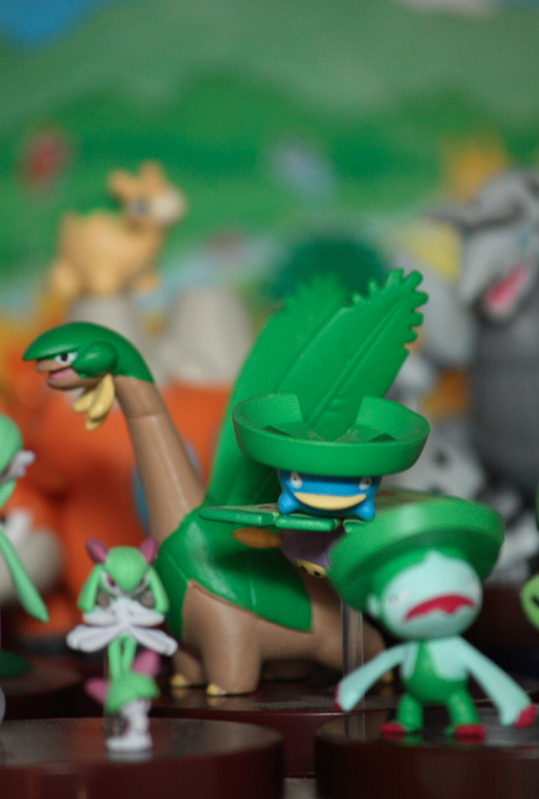 Celebi's chillin' there for now but I'd like to get the original figure if possible. Big Collection & Sales update! Hey everyone! It's been awhile since my last collection update, I've accumulated quite a few things, have a look under the cut! I've also added some new things to my sales as well as lowered prices! Anything that doesn't sell in a week or so will be going up on ebay! ps. going to a japanese festival tomorrow and hoping I'll see some pokemon things for sale + cosplays to photo! 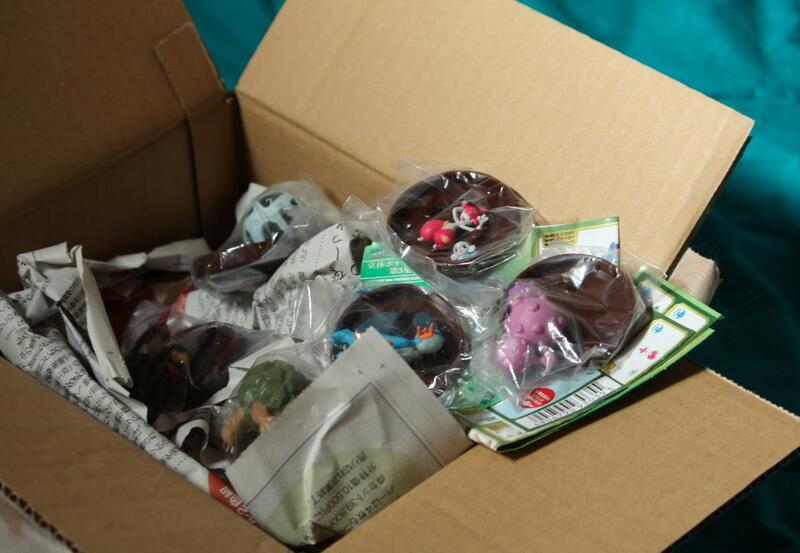 Also checking the stores around there for jakks wave 3 *_*! Back to lurking sales, purchasing cacti stuff and cute plushies andddd BACK TO CUSTOM MAKING! YAY! Yup I know it's a boring wants post, but a short one.